The Moment, a division of The Creative Engagement Group, has created a new film for the BBC Ideas online content platform, in conjunction with the philosopher Angie Hobbs and the Open University. The Moment worked closely with Angie Hobbs, Professor of the Public Understanding of Philosophy at the University of Sheffield, on the creative film. Hobbs wrote the script and performed the voiceover for the five-minute film, which examines the modern climate of contradictory information from the perspective of one of the great minds of the 20th century – Michel Foucault. The film was produced entirely in house by The Moment. 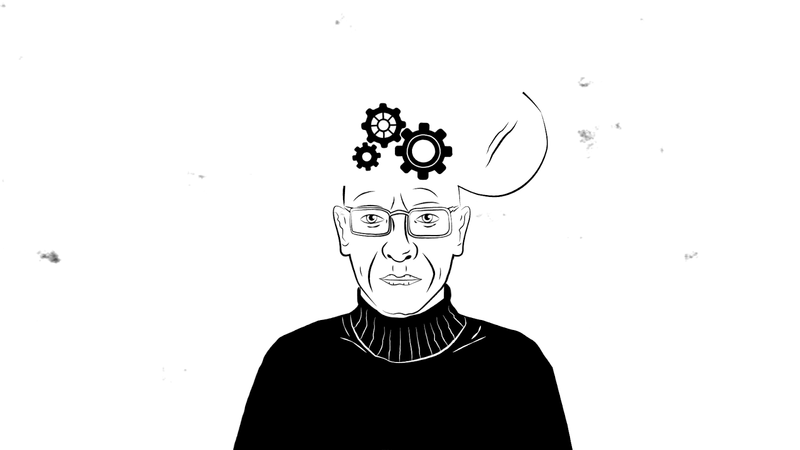 It is just under five minutes in length, and uses simple animation in tandem with Hobbs’ voiceover to prompt the audience to contemplate how French philosopher Foucault’s theories on language are just as relevant today as they were during their construction. In the age of social media, ‘fake news’, and opinion as self-proclaimed truth, language can do more than just influence; language holds the power to control. The Moment is a division of The Creative Engagement Group. It specialises creating and delivering video, digital and immersive (AR and VR) from its offices in Plymouth, London & Philadelphia. Watch the videos on BBC Ideas. The Moment creates and delivers video, brand communications, interactive and immersive content. This is based on a deep understanding of what audiences want to watch, experience and engage with. The Moment employs 100 people in offices in Plymouth, London and Philadelphia and works across categories including FMCG, Healthcare, Fashion, Defence, Maritime, Leisure and Professional services. The Moment is a division of The Creative Engagement Group. The Creative Engagement Group is an unusually shaped group of communications companies focused on engaging audiences through the creation and delivery of live experiences, film digital & immersive, training and scientific content. United by a philosophy to ‘Create Unforgettable’, The Creative Engagement Group provide an international client base with the ability to generate deeper levels of engagement with their audiences. The group comprises of live event specialist WRG; Film, Immersive engagement and digital agency, The Moment, healthcare training company Axiom and exhibitions business Just Communicate. It employs over 300 people in Europe and the US and is part of Huntsworth PLC.